How to Cook Rice | Just The Right Spice! Rice is one of the easiest things to cook but it can be one of the most challenging as well if you don’t know how. Rice is convenient, goes well with many dishes, tastes great and it’s good for you too, especially if you choose brown rice. It’s available in a wide number of varieties, you can choose white long grain, short grain, jasmine, red, whole grains and my personal favorite is basmati rice. Follow directions above but cook for 45 minutes or until rice is tender. Watch the rice carefully, as soon as it comes to a boil, turn down the heat and cover with a lid. Don’t remove the lid before the suggested cooking time is up, you are basically steaming the rice so if you lift the lid, you let out the steam and the moisture. It will take longer to cook and may become over done or died out on the bottom of the pot. 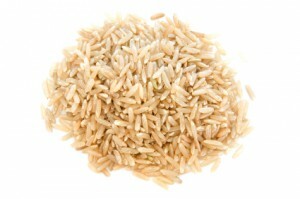 Don’t stir rice while cooking, after it’s cooked you can gently fluff it with a fork if you like. If you find your rice isn’t fluffy or is too sticky, try washing it first. Rinse the rice with cool water, several times or until the water doesn’t look milky. My mother always washed rice before she cooked it, I do as well depending on the variety. Need more rice? Simply double or triple the rice and water, keeping the same ratio and use a larger sauce pan. Cook extra, it keeps well in the fridge for up to a week. Re-heat cooked rice in the microwave, or add a couple tablespoons water to reheat on low in a pot on the stove top. 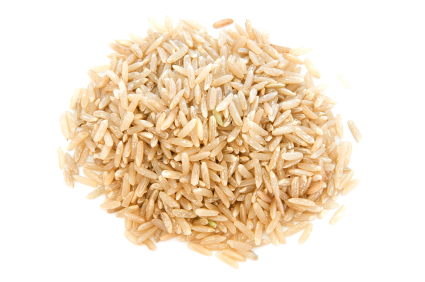 Cooked rice is perfect for making fried rice, adding to casseroles, salads, rice pudding and more. Spice up your rice by adding 1 teaspoon Watkins chicken or beef soup base along with the water, then cook as usual. You can also add more flavor by adding some herbs and spices before cooking; try cumin, curry powder, garlic, omelet and soufflé seasoning, onion, sage, or tarragon. If you follow the above tips, with practice you’ll be cooking and serving perfectly done rice every time!